State lawmakers on Wednesday pushed back against a bill introduced by Gov. Mike Dunleavy to repeal municipalities’ taxing authority over petroleum property in an effort that would boost state revenue by $400 million but harm the budgets of local governments that support education, police and other services. Senate Bill 57 is part of Dunleavy’s multipronged effort to close a budget shortfall of more than $1.6 billion. The bill would eliminate a revenue stream for the North Slope Borough, the Fairbanks North Star Borough, the Kenai Peninsula Borough, and the cities of Valdez and Anchorage, officials said. The municipalities currently have the authority to tax petroleum-related property within their boundaries, such as the 800-mile trans-Alaska pipeline. Under the bill, municipalities would no longer have the authority to levy taxes on oil and gas infrastructure. That tax income would shift to the state, providing a net boost of close to $400 million, said Mike Barnhill, policy director for the Office of Management and Budget. State Sen. Donny Olson, D-Golovin, said Dunleavy’s “irrational” idea would remove $372 million from the remote North Slope Borough this year, forcing the state to pick up the tab for borough services ranging from police to running water and sewer. “What the governor is proposing is not cost savings, it’s cost shifting," Olson said. Barnhill said the smallest local governments, the North Slope Borough and the city of Valdez, would lose the largest amount of annual revenue. In addition to the large loss for the North Slope Borough, Valdez, home of the pipeline terminal where oil is loaded into tankers, would lose $38 million, Barnhill said. 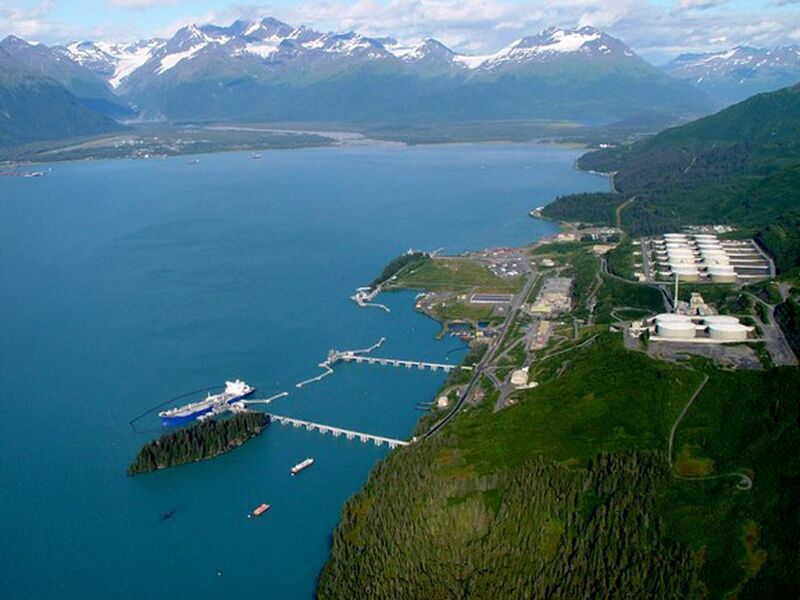 Kenai Peninsula Borough, home to the Cook Inlet oil fields, would lose $15 million, Fairbanks would lose $12 million and Anchorage would lose $2.4 million. Barnhill said the North Slope, population 9,800, and Valdez, population 3,800, have saved money that can help them weather the relatively large losses. The state will work with those and the other communities on “a path forward” to address the bill’s impacts, he said. Barnhill said the North Slope Borough has a net position of $2.5 billion and a permanent fund of $1 billion. He said it will see growing revenue from oil fields being developed in the National Petroleum Reserve-Alaska, under a federal grant program that provides oil royalties to help North Slope communities offset the impacts of oil development. “This will be disruptive but there is a path forward for them through their savings and new revenues from the NPRA,” Barnhill said. Olson said the borough has saved money because it’s frugal. “They are now being penalized because of their ability to keep their budgets slim," Olson said. Harry Brower Jr., mayor of the North Slope Borough, said no one region should bear the brunt of the state’s fiscal problem. He said borough officials will work with the Dunleavy administration and Legislature to make its case. Kara Moriarty, head of the Alaska Oil and Gas Association that represents oil companies, said the bill caught industry by surprise. The city of Valdez has a permanent fund of $200 million that can provide several years of operating funds there, Barnhill said. Valdez officials did not immediately provide comment Wednesday. Rep. Steve Thompson, R-Fairbanks, said he was still analyzing the proposal, along with the other budget items released by the Dunleavy administration Wednesday. Losing $12 million would be a big hit for the Fairbanks borough, especially when coupled with Dunleavy’s proposed cuts to education, he said. Fairbanks borough Mayor Bryce Ward said the borough is working internally and with local school district officials to review the impacts of Dunleavy’s budget proposal. Charlie Pierce, mayor of the Kenai Peninsula Borough, said he supports Dunleavy’s efforts to “right-size” state government by balancing expenses with income. But the bill will put local governments in the unpopular position of raising taxes if they wish to provide the same level of fire fighting, road maintenance and other services. “He’s pushing the cost of of running government to the local level,” Pierce said. Rep. John Lincoln, D-Kotzebue, said in a prepared statement that the bill is unfair to the North Slope Borough, which by far would bear the greatest burden. 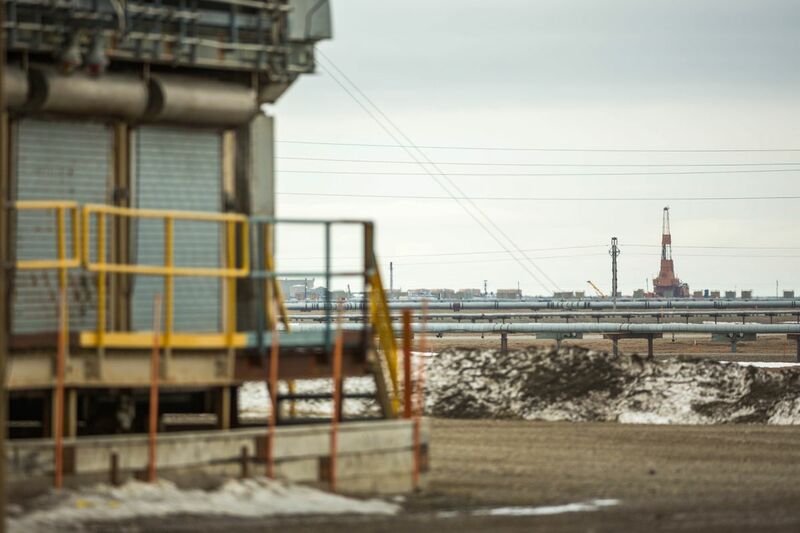 “While Senate Bill 57 applies equally to all petroleum property statewide, it, unfortunately, would have a disproportionate effect on the North Slope Borough, which is where the vast majority of Alaska’s known oil reserves are located," he said. Barnhill said state law already excludes several items from taxation by municipalities, such as mineral resources in place. The bill would another item to the list. He said the Department of Law has closely reviewed the proposed change, which faces no constitutional barriers. “It’s legal if it’s enacted into law,” Barnhill said.